Storage devices are the computer hardware used to remember/store data. There are many types of storage devices, each with their own benefits and drawbacks. 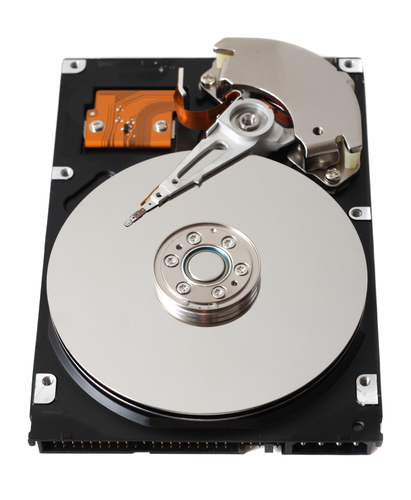 Hard disk drives are non-volatile magnetic storage devices capable of remembering vast amounts of data. An electromagnet in the read/write head charges the disk’s surface with either a positive or negative charge, this is how binary 1 or 0 is represented. The read/write head is then capable of detecting the magnetic charges left on the disk’s surface, this is how data is read. The disk surface is divided into concentric circles (tracks) and sectors (wedges). Dividing the surface in this way provides physical addresses to remember where data is saved. A circuit board carefully co-ordinates the rotating disk and swinging actuator arm to allow the read/write head to access any location very quickly. Typical HDD capacities are measured in Terabytes (TB). 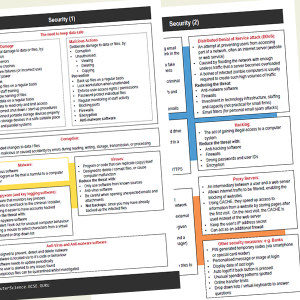 They can be installed inside a computer or purchased in a portable (external) format. Solid state drives are non-volatile storage devices capable of holding large amounts of data. They use NAND flash memories (millions of transistors wired in a series on a circuit board), giving them the advantage of having no mechanical moving parts and therefore immediate access to the data. Solid state drives perform faster then traditional hard disk drives, however they are significantly more expensive. This expense means that typical capacities are usually measured in Gigabytes (GB). They can be installed inside a computer or purchased in a portable (external) format. 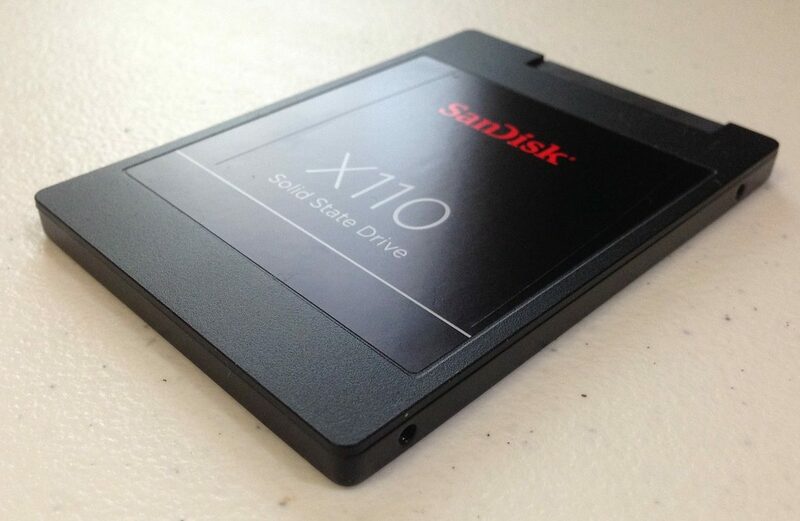 Until we reach a point were large capacity SSDs are affordable, a compromise is to run two disk drives inside a computer. An SSD as the primary drive for your important programs and operating system, and a traditional HDD to store music, documents and pictures (which don’t need the faster access times). The lack of moving parts in an SSD makes it very robust and reliable, ideal for a portable device. 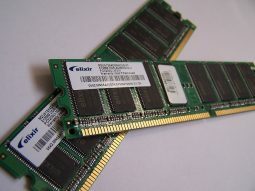 RAM is a computer’s primary memory. It is a very fast solid state storage medium that is directly accessible by the CPU. Any open programs or files on a computer are temporarily stored in RAM whilst being used. Being volatile, any data stored in RAM will be lost when power is removed. This makes RAM totally unsuitable for the long term permanent storage of data – that is the role of a HDD or SSD instead. 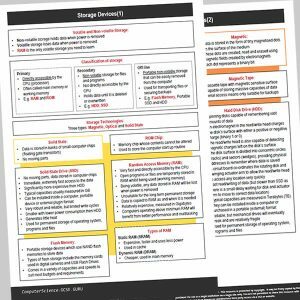 Data is copied from secondary storage (HDD, SSD) to RAM as and when it is needed. This is because using a HDD as the primary memory would cause a computer to perform much slower (a HDD or SSD is not directly accessible to the CPU, and isn’t as fast as RAM). RAM is a relatively expensive storage device and typical capacities are measured in Gigabytes (GB). Computers operating with a capacity of RAM above the recommended minimum will benefit from better performance and multitasking. There are two types of RAM, each with its own advantages and disadvantages. What are optical storage discs? CD, DVD and Blu-Ray drives are optical storage devices. Binary data is stored as changes to the texture of the disc’s surface, sometimes thought of as microscopic pits and bumps. These ‘bumps’ are located on a continuous spiral track, starting at the centre of the disc. Whilst the disc is rotating at a constant speed, a laser is pointed at the spiral track of ‘bumps’. The laser will reflect/bounce off the disc surface in different directions depending upon whether a 1 or 0 has been read. In the pursuit of larger optical storage capacities, DVDs were created, followed by Blu-Ray. Despite being the same physical size, a DVD can hold more data than a CD. 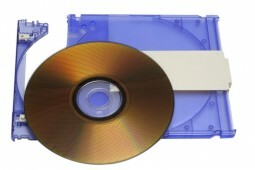 To achieve this, a more tightly packed spiral track is used to store the data on the disc. To accurately access the smaller ‘bumps’, a finer red laser is used in a DVD drive than that found in a standard CD drive. 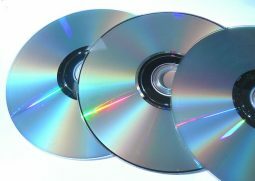 To increase capacity further, DVDs are also capable of dual layering. Blu-Ray technology squashes even more data into the same size disc as a CD or DVD. The spiral data tracks on a Blu-Ray disc are so small a special blue (violet) laser has to be used to read the ‘bumps’. Like a DVD, Blu-Ray discs are capable of storing data on multiple layers. DVD-RAM is an optical media storage device. It differs from a traditional DVD in that data is stored in concentric tracks (like a HDD) which allows read and write operations to be carried out at the same time. This means, for example, that when used in a personal video recorder you can record one television programme whilst watching a recording of another. This allows handy features such as ‘time slip’ to be possible. When used within a CCTV system you could review footage whilst still recording your cameras. The capacity of DVD-RAM is 4.7 GB, or 9.4 GB for double-sided discs. 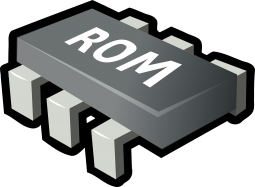 ROM is a non-volatile memory chip whose contents cannot be altered. It is often used to store the start up routines in a computer (e.g. the BIOS). What is USB Flash Memory? Flash are non-volatile solid state storage devices which use NAND flash memories to store data (millions of transistors). 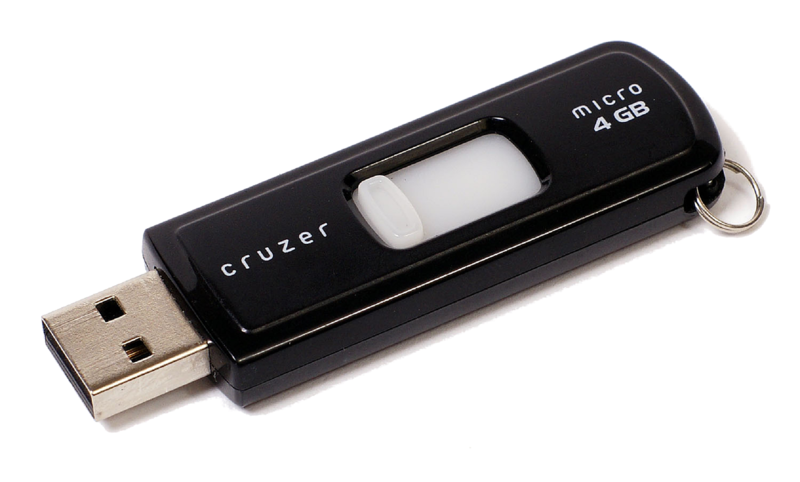 USB refers to the USB connection that allows users to plug the device into the USB port of a computer. Other types of flash storage include the memory cards used in digital cameras. Flash memory comes in a variety of capacities to suit most budgets and requirements.